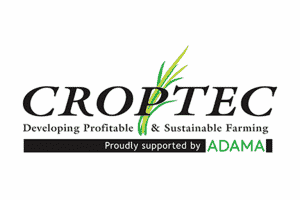 CropTec, the essential technical event for arable and mixed farmers, their advisers and associated industries, will be packed with innovative features and content when it returns this coming November. To encourage knowledge exchange between the farming community, the event is FREE for pre-registered Farmers, Agronomists & Advisers. Building on three very successful years, the show promises to be the biggest and most relevant yet. More than 100 exhibitors will display the latest science and technology across the trade stands, while CropTec’s well established seminars and hubs will feature the latest thinking on a range of key arable topics delivered by leading specialists. We will be focusing primarily on the latest in drilling technology by displaying the strip-till DTS coulter and direct drill DD disc coulter, both of which are designed to reduce inputs and drive down establishment costs while at the same time improve soil health, structure and profitability. Sumo representatives will be on hand along with large amounts of information and media presentations to help explain how the different Sumo drill systems can fit into your current regime, to show what agronomic benefits can be attained and the possible cost savings that could be expected by using one of our drill ranges.